Nicolas Badalassi and Sarah B. The Cold War History Research Center in Budapest, celebrating the 20th anniversary of its foundation, invites your submissions to their extensive Bibliography of New Cold War History. 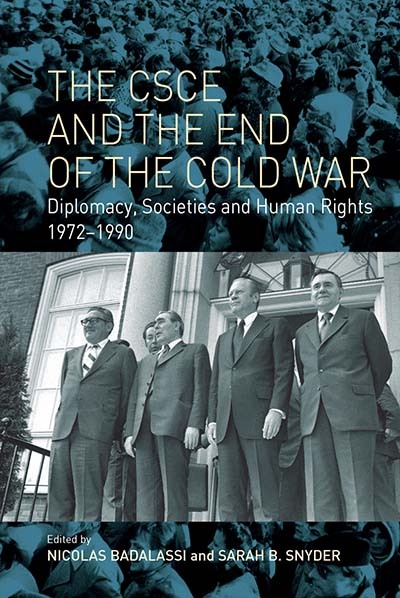 It attempts to collect the publications on the history of the Cold War published after 1989, the beginning of the “archival revolution” in the former Soviet bloc countries. While this first edition is far from complete, it collects a huge number of books, articles and book chapters on the topic. While most subfields of history have evolved considerably in the twenty-first century, the study of “diplomatic history” has been particularly transformed by methodological diversification. This new reality is conveyed in my recent book on American-Iranian relations during the reign of the last shah, Mohammad Reza Pahlavi (r. 1941-79). In Losing Hearts and Minds, I analyze the educational ties between Iranian students and Americans between the Second World War and the Iranian Revolution.